This blog is one writer-turned-designer's perspective on the spaces and trends that surround and define us. I know I don't post here that often, but I just came across a product from one of my favorite stores, CB2, that inspired me to pop on to DesignInsider and share a link. 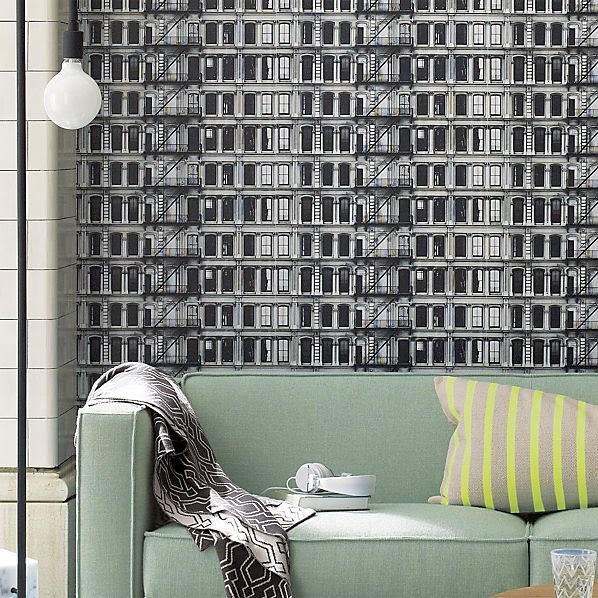 CB2 now offers wallpaper, and along with traditional papers with paste backing, they're offering adhesive papers designed for renters who can't make permanent changes to their spaces. I'm a writer and residential interior designer, and I combine the two careers by writing about homes, design trends and lifestyle topics for newspapers and magazines. One of these days, I hope to add "published author" to the list of hats I wear.